Classic Cinemaware adventure to make a much-needed comeback. Back in the 80s, we were too busy playing NES to enjoy games on the Amiga personal computer. This means we missed out on several classics from Cinemaware. Most notably, The King of Chicago, an adventure set in the 1930s that tasks you with claiming Al Capone's throne by any means necessary. You perform drive-by shootings with a Tommy gun, bribe corrupt officials and infiltrate Chicago's mob to eventually sit atop the New York crime syndicate. There's also your girlfriend to consider. 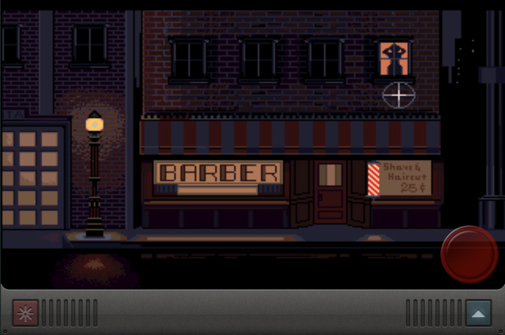 Thankfully, we'll have another chance to experience this title on iPhone and iPad, in Cinemaware's The King of Chicago: Emulated Amiga Version. Bad title? Yes. Quality game? Well, it definitely has potential. "Lissen up, when youse action and story combine just poifect, somethin' snazzy happens on the screen," said Pinky Callahan, mouthpiece for Cinemaware. "Cinemaware pulled the trigger on that stuff back in the 1980s; and it ain't no different now. People are always yappin' at us to bring back our games, as we obliged last year with Defender of the Crown: Emulated Amiga Version on iOS. We's in the process of releasin' several classic and new titles in 2012, startin' with the godfather of games, The King of Chicago: Emulated Amiga Version on iOS." On that note, expect to see the game on the App Store later this year.